Then on April 9, Young elaborated: “At least 11 new songs, all written recently, are going to be recorded starting this week. “Nils [Lofgren] will be with Ralph Molina, Billy Talbot and I, making our new CRAZY HORSE music high in the Rockies. “Crazy Horse history goes back to our original founding singer guitarist – the great Danny Whitten. When Danny died of a drug overdose in 1973, Nils joined us for Tonight’s the Night, playing electric guitar and piano in a wake for Danny and roadie Bruce Berry, who died a similar tragic death. “Previously, Nils had replaced Danny during most of the recording of 1970’s After the Goldrush, singing, playing both piano and acoustic guitar. Poncho Sampedro joined the band in 1975 and stayed with Crazy Horse until 2018, making tons of great music with us. 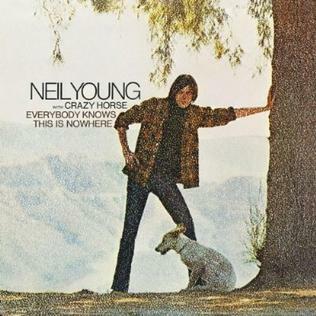 Related: What were some of the other highlights of 1969, the year of Neil Young and Crazy Horse’s first joint album? Crazy Horse has also announced two dates in Vancouver at the Queen Elizabeth Theatre, on May 14-15. Both shows will also feature Elvis Costello and the Imposters. 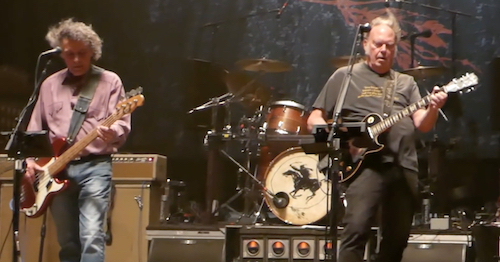 Tickets for the Vancouver shows and all other Neil Young dates are available here and here. Talbot and Molina have been consistent members of Crazy Horse, having been in the band since its inception. As Young noted, the group originally also included guitarist Danny Whitten, who died in 1972. Multi-instrumentalist Frank Sampedro was the other long-standing member, having played with the band for three different runs beginning in 1975. To date Crazy Horse has appeared with Young on 11 full albums and parts of several others, and has released eight albums on their own. Psychedelic Pill and Americana, both released in 2012, were the band’s most recent releases with Young. Beside Crazy Horse, Young often performs now with Promise of the Real, a group fronted by Willie Nelson’s son Lukas.